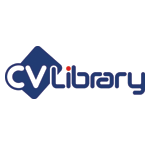 New data from the UK’s leading independent job site, CV-Library, has found that 82.2% of Brits have had a bad leader, with some of the worst bosses being based in Cardiff (88.5%), Liverpool (86.4%), London (84.2%) and Newcastle (83.7%). According to the study, a whopping 83.2% of employees believe that they could make a good leader, with this figure rising to 90% amongst workers in Glasgow, 86.7% for those working in Manchester and 85.1% in London. The key reasons behind this included: because they’re confident (21%), good at communicating (22.7%), approachable (16.6%), a good motivator (14.8%) and trustworthy (12.5%). The research found that the best leadership qualities were: confidence (50.4%), honesty (34.3%), integrity (34%), positivity (31.9%), trustworthiness (31.2%), open mindedness (29.8%), motivational (27.4%), passion (26.4%) and transparency (19.1%).